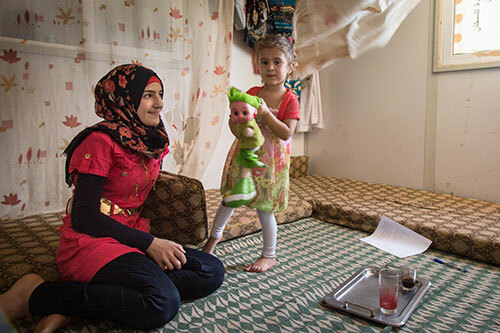 UNITED NATIONS, New York – A study published today in The Lancet shows that improving the physical, mental and sexual health of adolescents, at a cost of about $4.60 per person per year, would yield more than 10 times as much in benefits to society. Investments in adolescents’ education and human rights would also have enormous benefits relative to costs, the findings demonstrate. The study explores practical measures developing countries can take in pursuit of the Sustainable Development Goals, a set of global targets that countries have agreed to achieve by 2030. The Goals include eradicating extreme poverty, achieving universal health coverage and ensuring quality education for all – ambitions that have long eluded experts and leaders, in part because they require significant investment. But the newly published report shows that such outlays would generate massive returns. Researchers estimated the costs and benefits of a package of 66 health care interventions – including sexual and reproductive health care, HIV prevention and treatment, improved nutrition, and care for depression, anxiety and alcohol dependence – in 40 low- and middle-income countries. These services would cost approximately $360 billion between 2015 and 2030, or about $4.50 per capita per year. Adding a two-dose human papillomavirus (HPV) vaccination programme to the investment scenario would cost roughly 10 cents more per person per year. Together, these efforts would avert an estimated 12.5 million adolescent deaths and prevent 30 million unintended pregnancies. Tens of millions more young people would be able to contribute to their communities and economies, producing a tenfold-plus return on investment. A new health policy paper shows that investment in adolescent health and well-being could result in a 10-fold economic benefit. 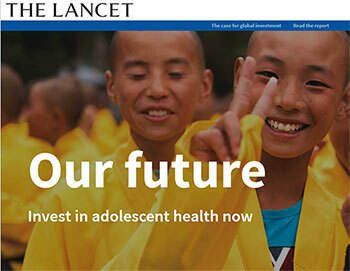 Image courtesy of The Lancet. Click to see more. Other investments also showed substantial benefits: Improving secondary school enrolment and quality, to the tune of about $22.60 per person per year, could produce 12 times the economic benefits by 2030. And spending roughly $3.80 per capita per year on programmes to reduce child marriage would yield a nearly sixfold return. “There is little doubt that the actions outlined in our study could be delivered on a large scale,” said lead author Peter Sheehan, of Victoria University. Other authors include experts from the University of Melbourne, in Australia, and UNFPA. The study has been published just as finance and development leaders from 188 countries convene at the World Bank’s spring meeting in Washington, D.C. Investing in adolescents – 10-to-19 year olds – is one of the topics slated for discussion. The publication will be shared at the meeting; its findings show that such investments are some of the best governments can make. Young people working with UNFPA’s programmes around the world have also illustrated this point. “My parents are [too] poor to send me to school,” Sophie, a young woman in Malawi, told UNFPA in 2015. As a young teen, she was forced to drop out of school to care for her siblings. But then she became involved in Safeguard Young People, a UNFPA-supported youth programme that provides reproductive health education, family planning counselling, testing and treatment for sexually transmitted infections, and supportive services such as leadership training. When young people are empowered to protect their health and voluntarily delay pregnancy, they are better able to pursue their dreams: Sophie went on to earn a scholarship and return to school, vastly increasing her economic potential. “My main goal now is to become the first female lawyer in my area,” she said. Countries with young populations, which include many low-income nations, could see these gains multiply over generations. Evidence shows that if these countries have large numbers of healthy and educated young people securing decent employment, with a lower proportions of young dependents, the economic payoff is substantial. Sibongile, in Zimbabwe, is doing her part – and she’s only 14 years old. 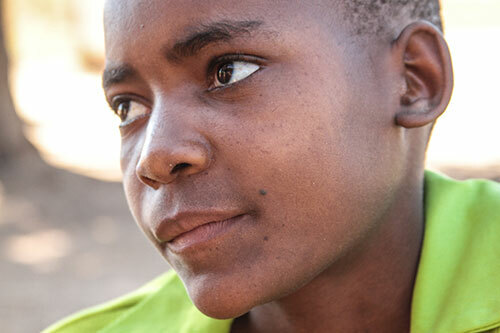 Two years ago, on the brink of dropping out of school, she joined a UNFPA-supported girls’ club called Sista2Sista. There, she learned the basics of financial literacy. “I realized there was something I could do to get myself out of my situation,” she said. With just a little money from a mentor, she started selling snacks. She then used the money to start her own poultry business, which now supports her family and funds her education. “Our lives have been transformed through her hard work,” her mother said. With the right investments in their health, education and safety, young people like Sibongile could transform the world.